Earth is home to lots of wonderful wildlife, but sadly, some species that once called our planet home today no longer exist. These are known as extinct animals. All that remains today of the dodo are a few bones and partial skeletons – so it’s no wonder we have the expression ‘dead as a dodo’! But these chubby, flightless birds were once alive and well in the forests of Mauritius. Their tragic tale began in the 16th century, when Dutch sailors arrived on the island and hunted this brilliant bird. 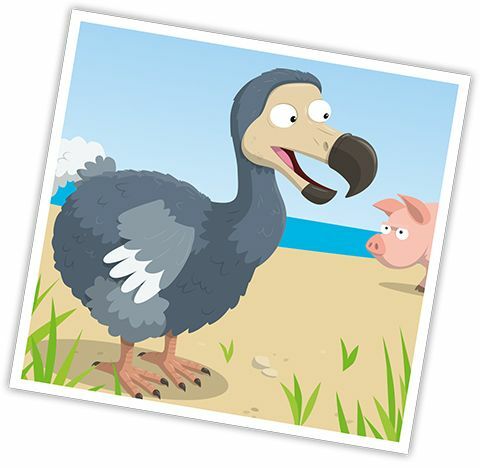 The main cause of the dodo’s extinction, however, was the animals the sailors brought with them, such as cats, pigs and rats – they guzzled on dodo eggs and out-competed the birds for food, wiping them out by the 1680s. The black-and-white great auk was once found around the North Atlantic, waddling around on craggy coasts – including in the UK – or swimming in the waves using its short wings. But during the early 19th century, the great auk was killed in huge numbers for its feathers, meat and oils, and because people believed it had supernatural powers. Unafraid of humans, the flightless, defenceless birds were very easy to catch. Sailors would simply round them up and walk them onto ships, before bashing them on the head. Not an auk-some ending. 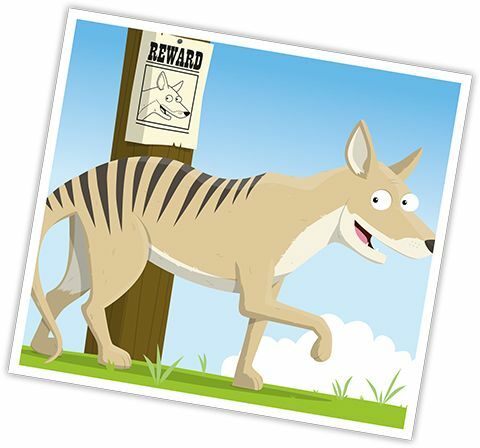 Also known as the Tasmanian tiger, the thylacine was once the world’s largest meat-eating marsupial. It looked a bit like a wolf, but had yellow-brown fur, stripes on its back and a thick, long tail. Its scientific name Thylacinus cynocephalus is Greek for ‘dog-headed pouched one.’ Although populations suffered disease and habitat loss, it’s believed humans were to blame for the thylacine’s ultimate extinction. Since the fierce predators liked to feast on sheep and other livestock, European settlers were quick to kill them – in fact, the Tasmanian government even paid people to do so! The last known thylacine died in 1936, in Hobart Zoo, Australia. German naturalist Georg W. Steller first studied and described this amazing animal in 1741, in the north Pacific Ocean. Related to today’s manatees and dugongs, Steller’s sea cows were huge marine mammals that grew up to 10m long – that’s twice the length of a large family car! Living in peaceful herds, they grazed on sea grass, kelp and algae. Sadly, sailors and seal hunters soon realised the animal’s fatty meat provided a hefty food supply for their voyages and they began to hunt them, big time. The result? 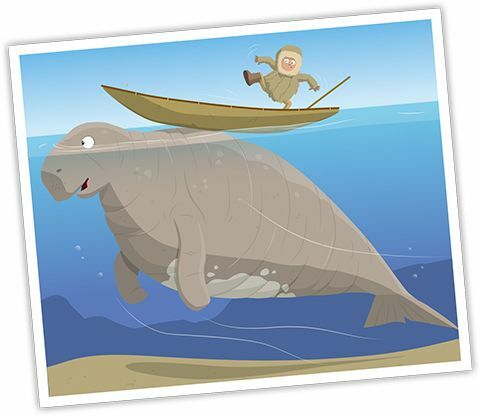 The Steller’s sea cow became extinct just 27 years after being discovered. 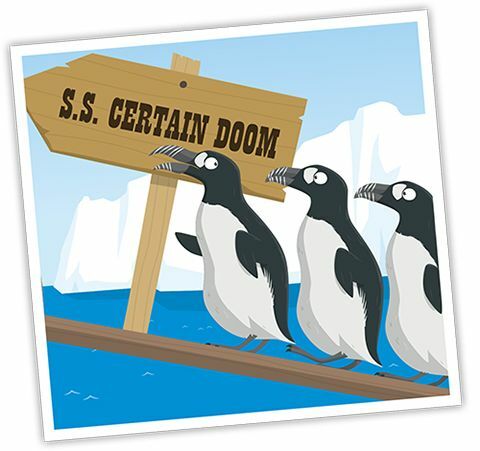 Did you know we have a FREE downloadable Extinct Animals Primary Resource? Great for teachers, homeschoolers and parents alike! 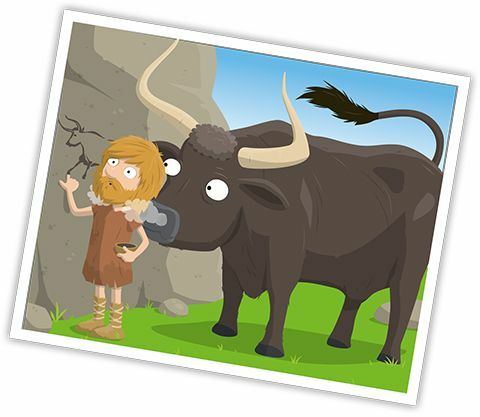 Turn the clocks back several centuries, and you’ll find huge, horned aurochs roaming the forests of Europe and parts of Asia – perfect hunting fodder for early humans. Today, all that remains of these colossal cattle are a few skeletons in museums, along with some prehistoric cave paintings of the big beasts in Lascaux Cave, France, which may date back 20,000 years! It’s highly likely that aurochs are the ancestors of today’s cows, but they were much, much bigger, growing up to 1.85m in height (way taller than the average man!). The last of the aurochs lived in Poland, where the bulky breed died out in 1627. Tadpoles swim in ponds, right? Not the incredible gastric brooding frog’s. The females would ‘eat‘ their own frogspawn, brooding the tadpoles in their stomachs for 6-7 weeks, having ‘turned off’ their digestive juices and stopped eating food. 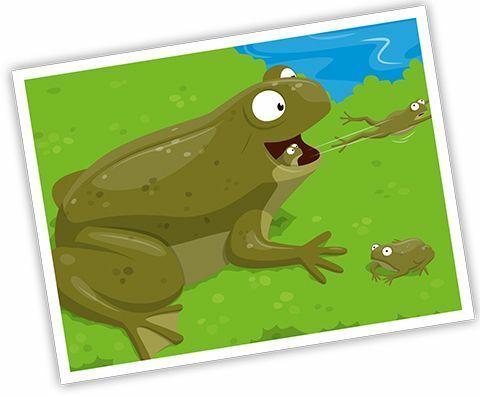 They then ‘gave birth‘ to a brood of baby frogs by projectile vomiting them out of their mouths. Wow! Sadly, the Australian amphibians were wiped out within a decade of being discovered in 1973. But we have exciting news… by taking cells from gastric brooding frogs frozen in labs years ago, and inserting them into the eggs of today’s living frogs, scientists hope to bring this super species back to life. Sick! to withstand the 43°C waters. 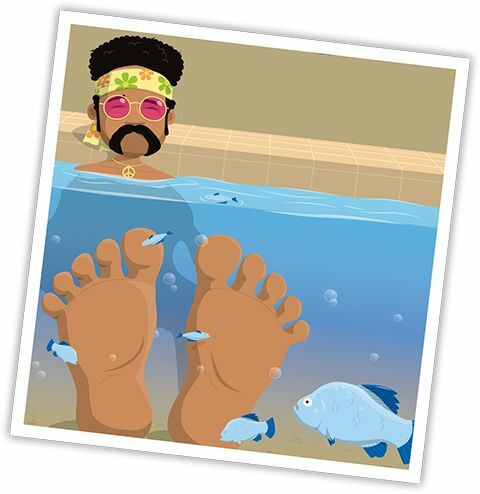 But in 1965, the springs where they lived were merged together to build a bathhouse, and the water became too hot and salty for the fish to survive. As a result, in 1970, the poor pupfish was added to the Endangered Species List – unfortunately, it was too late. By 1981, it was declared Extinct – another awful outcome of human development. 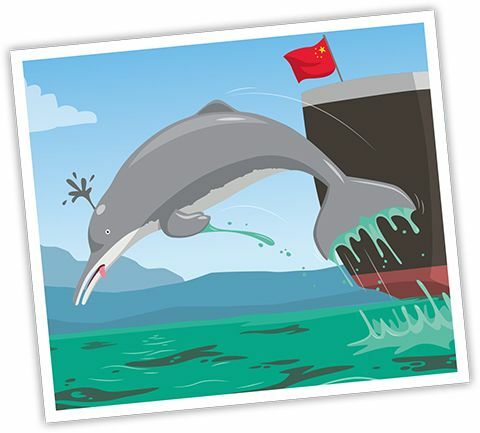 In ancient Chinese folklore, the almost blind Baiji River dolphin was said to be the reincarnation of a princess who was drowned after refusing to marry a man she did not love. Sadly, the real-life story of the Baiji is just as tragic. Up until the 1950s, thousands of the small, pale grey aquatic animals splashed about in the murky waters of China’s Yangtze River. But, due to overfishing, collisions with ships and pollution, it’s believed these mammals are now Extinct. While they’re still listed as Critically Endangered on the IUCN Red List (see right), there have been no confirmed sightings of this spectacular swimmer since 2004. We often hear about animals and plants being ‘Endangered’ or ‘Vulnerable’, but what does this actually mean? To help work out which species need most help, the International Union for Conservation of Nature (IUCN), created the IUCN Red List of Threatened Species in 1964 – a system for classifying species according to the risk of extinction they face. placed in a ‘threatened’ category (below). Facing a high risk of extinction in the wild. of extinction in the wild. No individuals exist in the wild, in captivity or cultivation. Different factors are taken into account before selecting the correct category, including current population size, rate of decline and geographic range. Scientists around the world regularly reassess the different species to see if there are any changes to the status of the species on the list. In this way, we can help preserve and protect our world’s incredible nature. Fingers crossed! What do you think of our list of extinct animals? Leave a comment below and let us know! It is really sad how people did this to animals. I just hope we can save animals that are endangered and that they not become extinct. I really love this website! I always have fun on this page and it provides sooo much information. I love the person or people that invented this sooo much!